Point2 Homes gives you far more than a simple list of houses for sale. Get instant access to a lot of relevant information about Belleville, ON real estate, including property descriptions, virtual tours, maps and photos. The search results pages also have a wealth of information on Belleville, ON, if you scroll all the way down. 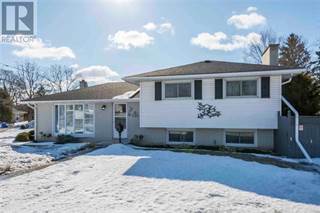 There are houses for sale in Belleville, ON. Searching homes for sale in Belleville, ON has never been more convenient. With Point2 Homes, you can easily browse through Belleville, ON single family homes for sale, townhomes, condos and commercial properties, and quickly get a general perspective of the real estate prices. Also, you’ll never miss a bargain if you filter listings based on house price drops in the past six months. 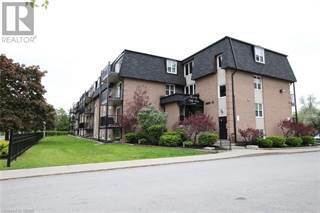 Use the map view to find Belleville, ON homes and apartments for sale, based on amenities or city features that you may want close by. You can close in on a specific neighbourhood or area by simply drawing around them with the polygon or radius tools. Stay informed about the latest entries on the real estate market by saving your searches. This way, you get new listings in your inbox, daily or every week, based on your preferences. If you’d like to get in touch with a professional, agents are displayed next to their listings, and they’re easy to contact through the online forms. If you want more options, you can click the Tools tab and Find an Agent, and you’ll get a list of helpful and knowledgeable real estate agents in Belleville, ON. Visit the Point2 Homes blog and you can find up to date expert advice on many markets throughout Canada, regular market reports, neighbourhood scoops in cities throughout the provinces, real estate deals and useful recommendations. Belleville is a city located in the southern region of Ontario. It has a population of around 92,000 people and occupies around 740 square kilometers of land. Officially incorporated as a city in 1877, it was an integral part of the Grand Trunk Railway that was completed in 1855. Belleville has also developed a stellar reputation for being extremely friendly towards immigrants and newcomers, donning the well-deserved nickname “The Friendly City”. One of the fascinating things about Belleville is the fact that homes are not overly expensive. Many individuals and families have commented that price was not a deciding factor in their decision to purchase a house. It all came down to location and personal preferences for the type of neighbourhood they wanted to live in. Some of Belleville’s highest tourist activity comes from the annual festivals that are hosted at nearly every month of the calendar year. For example, the Quinte Ribfest invites the best rib-cooking establishments in North America to prove that they can make the best ribs around. Over a few days, visitors will have the option of trying numerous samples and several awards are handed out to the competitors. Given that these awards boost their business reputation, you can bet that entrants will do everything in their power to make ribs like they never have before! When you aren’t waiting for the next event to come by, you can participate in the overwhelming number of outdoor activities. With more than 15 golf courses, 26 kilometers worth of hiking & cycling trails, 500 acres of park space, and numerous recreational centers, there will always be something for you to do. Many of these centers host intramural events where friends can form a team and compete against other local teams for fun. It’s a great way to meet new people while getting some exercise. Due to Belleville’s small size, it is not divided into distinct neighbourhoods or communities. Rather, people agree that there is an urban area and a rural area of Belleville. The urban area is located in the southern region of the city while the rural area is located up north. The urban zone of Belleville is home to several internationally-recognized companies that have operations in Belleville. They are all aggregated in this area to have easier access to a large base of potential customers and workers. You will also find Belleville’s two shopping malls in this area: The Quinte Mall and the Bay View Mall. Each of these have several stores for purchasing retail items and grabbing a quick bite to eat. In sharp contrast, rural Belleville is where you can expect to find all of the outdoor amenities that were previously mentioned. The large amount of green space available is what allows for this arrangement. Many of its inhabitants have commented on how clean the air is due to being located far away from the downtown area and any other potential site of pollution. During the winter time, there are new activities that open up. These include skiing, snowmobiling, snowshoeing, hockey and ice fishing. One of the fascinating things about Belleville is the fact that homes are not overly expensive. Many individuals and families have commented that price was not a deciding factor in their decision to purchase a house. It all came down to location and personal preferences for the type of neighbourhood they wanted to live in. With several houses available at affordable prices, anyone looking to live in Belleville will be able to find the home of their dreams! In urban Belleville, inhabitants are less focused on the size of their home and more on the convenience of getting to work. They tend to opt for the nearby low-rise condos or the apartments available for rent if they are operating on a tight budget. While the condos are not the high-end luxury homes that you would see in other cities, they do provide a comfortable living space for those who are getting their careers started. 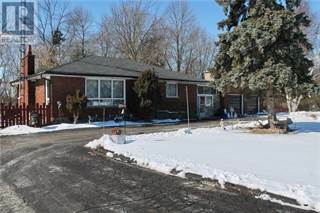 Rural Belleville is primarily home to several fully detached residential properties that are adequately spaced out. You can expect to find homes with front yards and backyards that exceed the size of the house itself. Many of these homes have a traditional design to them with the exception of some newly built properties that have a post-modern look to them. Belleville is home to two public colleges: The Academy of Learning College and the Loyalist College. The Academy of Learning College is focused on providing diploma and certificate programs in the IT, Law, Healthcare and Business sectors. There are online options available for those unable to physically attend classes. The Loyalist College is geared towards those who want to go into the trades and get a head start on starting a new career path. Belleville is currently home to 13 public elementary schools (K-8) under the Hastings & Prince Edward District School Board, and 5 Catholic schools that are managed by the Algonquin & Lakeshore Catholic District School Board. Top-ranked schools in the areas of reading, writing and mathematics include (but are not limited to) Susanna Moodie, Sir John A. Macdonald, St. Joseph and Harry J. Clarke. Belleville is currently undergoing a “Build Belleville” program that will oversee massive expansion of its infrastructure. This will lead to greater opportunities for business while providing additional support to the industries that are already thriving in this small city. Its financial stability can be attributed to the fact that it has borrowed a small amount of money relative to other cities. Some have gone as far as to say that their credit rating is sufficient to withstand a nation-wide economy crash. The industries that contribute the most to Belleville’s economic well-being are health care, pharmaceutical, sales, manufacturing and trade. This can be attributed to many smaller companies like Bioniche Life Sciences choosing to set up shop in this city. Belleville has demonstrated itself as a competitive area for attracting new businesses and employees who will become permanent residents in order to work there.